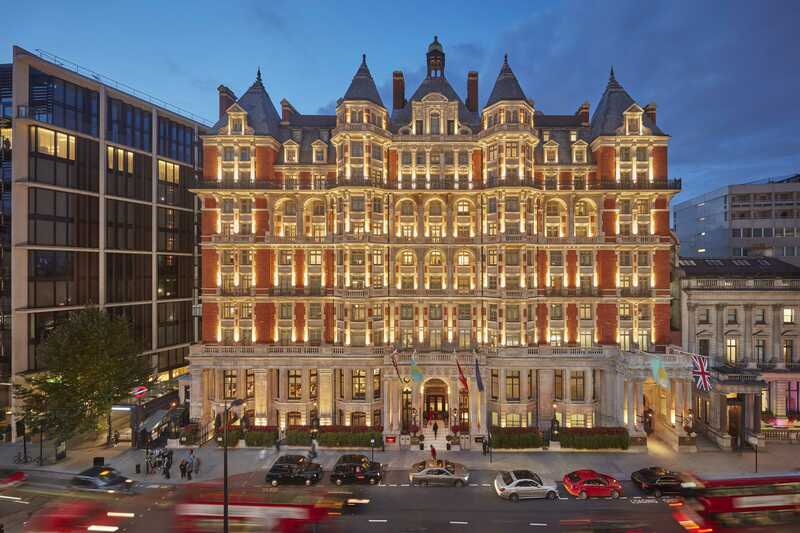 Dubai, 29 May 2018 – Mandarin Oriental Hyde Park, London has completed the most extensive restoration in its 115-year history, designed to confirm this historic hotel’s position as one of the best in the world. In celebration, an exclusive Be the First to Stay room package is being offered from 1 June to 31 July 2018. Priced from £695, this package includes daily breakfast, a bottle of Champagne on arrival, plus a credit (ranging from £75 to £350 depending on the room/suite category booked) to be used within the new Spa, Mandarin Bar, The Rosebery Lounge or Bar Boulud. Internationally renowned designer, Joyce Wang, has overseen the design of all guest rooms, suites and public areas, taking inspiration from the hotel’s royal heritage and peaceful parkside location, as well as the glamour of the early 20th century’s Golden Age of travel. All 181 guest rooms and suites are now more luxurious and comfortable than ever before, with art deco-inspired features including carefully curated artworks, and custom-designed furniture. The hotel has also installed a green living wall that surrounds the inner courtyard, providing calm interior views. Each of the hotel’s 40 suites range in size from the smallest, at 47 square metres, located within the turrets of the hotel, to the largest, at 397 square metres. The latter, located on the top floor, is a magnificent three-bedroom Mandarin Oriental Penthouse with private terraces. Comprised of two spacious interconnecting suites – The Mandarin and The Oriental – this superb accommodation which will launch in July, offers guests expansive views of leafy Hyde Park and the London skyline. In every suite, guests will find reading libraries curated by the well-known London bookseller, Heywood Hill, record players with vintage vinyl collections and yoga mats for private practice. All accommodation comes equipped with GHD hair straighteners, Nespresso coffee makers, his and her Miller Harris bathroom amenities and Jo Hansford hair products. 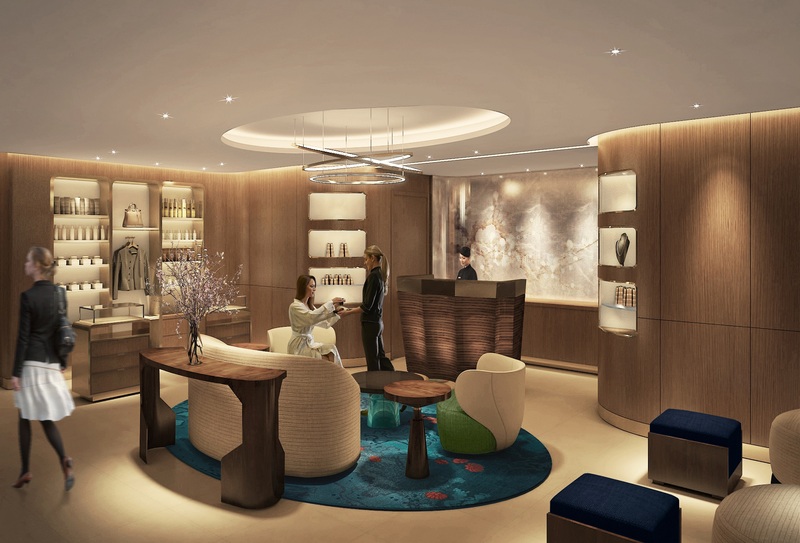 New York designer Adam D. Tihany, has overseen the redesign of the next-generation Spa at Mandarin Oriental, London. In keeping with the fresh new look, the extensive spa menu has also been enhanced to include exclusive partnerships with some of the most sought-after health and wellness experts in the world. The new spa features 13 individual treatments rooms, an Oriental Suite with two massage beds and a Rasul water temple, a room designed for traditional [ASANTE] Chinese Medicine consultations and treatments, aBastien Gonzalez Pedi:Mani:Cure Studio and two additional beauty rooms providing a series of results-driven express treatments. 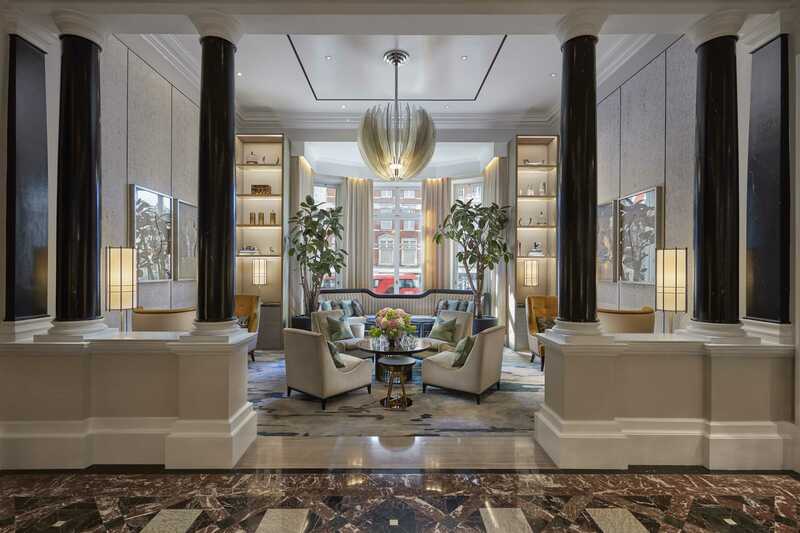 As part of the first phase of the renovation, the building’s iconic façade was revitalised, and Joyce Wang transformed the Lobby Lounge and Reception area to maximise natural daylight, and blend seamlessly with The Rosebery Lounge’s nature inspired décor. Upon arrival, guests are greeted with a centrepiece glass chandelier in the shape of a closed flower bud, which is further complemented by an open flower blossom chandelier suspended over the lounge area. The reception artwork by Fredrikson Stallard, is an abstraction of the textured and layered bark of the Plane Tree – the signature tree of Hyde Park. The hotel has commissioned VISTO Images to compile an outstanding art portfolio throughout the hotel. Each of the hotel’s new floor landings showcase a striking photograph by Mary McCartney, while the corridors are home to pieces inspired by the nature of Hyde Park and English technological innovations featured at the 1851 Great Exhibition. Other eclectic art pieces can be found throughout the hotel’s public areas.